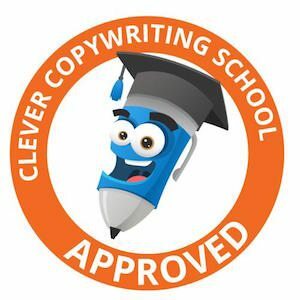 By accessing, downloading, or using the products and services offered on https://andrewlaucopywriter.com (Website) and all Andrew Lau downloadable content and material provided (Content), you acknowledge that you have read and agree to be bound by these Terms and Conditions (Terms). Andrew Lau (We, Us, and Our) may modify these Terms at any time without prior notice to you. If we do, the new Terms will be uploaded on this web page. Your continued use of our products, programs and services constitutes acceptance of any changes to these Terms. Andrew Lau means Andrew C Lau Digital Pty Ltd trading as Andrew Lau Copywriter (and any of his employees, officers or agents). Claim means any claim, notice, demand, debt, account, action, expense, cost, lien, liability, loss, proceedings, litigation (including reasonable legal costs), investigation or judgment of any nature, whether known or unknown. Confidential Information means information, data, ideas, plans and trade secrets that is confidential and proprietary. Consequential Loss means direct, indirect, incidental, punitive, special, exemplary or consequential damages (or any loss of revenue, loss of continued work, loss of data, loss of profits or loss of opportunity whether the losses be direct or indirect). Content means all content and material including audio, video and text, found within the Website and downloadable learning materials. Products means any digital product or online resource or downloadable content made available on the Website for sale or through an associated digital platform or landing page. Programs means an online course or program or membership service offered through the Website. Services means any professional or business services provided to you through the Website. User means a visitor to the Website or user of the Website content. User Content means all material including audio, video, and text, provided by a User. Recordings means audio or video recordings that are stored or displayed by Andrew Lau on the Website or through its social media or other digital platforms. You may be provided with a User account or digital portal to access the Services or Website from time to time. Please read it carefully for information on how we collect, use, store and disclose your personal data and information. By registering your details with us, you warrant that you are authorised to register for and/or use the Website or particular service or program (as applicable from time to time). We reserve the right to terminate your registration without notice, for any reason, if we determine that you have breached these Terms. By registering for any program or service on the Website (if applicable), you warrant that You are responsible for maintaining the confidentiality of your password and account and are responsible for all activities that occur under your account. You agree to use the Services and Website in a safe and responsible manner, in accordance with the Terms and all other policies and notices that form part of these Terms. We prohibit the use of the Website and any of its functionalities, features and content in any manner other than as expressly allowed by us in these Terms. (a) to comply with all laws, rules and regulations applicable to your use of the Services. (b) you must not interfere or disrupt the Website or servers or networks connected to the Services or Website. (c) you may not use the Website for any purpose that is unlawful or prohibited by these Terms, or to solicit the performance of any illegal activity or other conduct that infringes the rights of ours or others. (d) you may not use the Website, or any part of, for any commercial purpose or for the benefit of any third party, including but not limited to; incorporating, modifying, copying, reproducing, republishing, uploading, posting, transmitting, translating, selling, creating derivative works, exploiting, or distributing in any manner or medium (including by email or other electronic means) any content or other information accessed or purchased through our Services or Website, or any other communications provided by us for your own personal use, or in a manner not permitted by the Terms. (e) you may not breach the security or authentication procedures of the Website, or any network connected to the Website, in an attempt to gain unauthorised access to any part of the Website by hacking, password “mining” or any other illegitimate means. (f) you may not manipulate identifiers in order to disguise the origin of any communication you send to or through Andrew Lau. You may not pretend that you are, or that you represent someone else, or impersonate any other individual or entity. (g) you must not harvest or collect email addresses, photographs or personal information of other Users. We may give you access to our Services, community forums, social media groups or platforms in which you may post or publish material including comments, photos, and messages (User Content). This includes material transmitted through computers, mobile phone messaging, e-mail, social media platforms, and classifieds. (a) Information or content that is unlawful, harmful, fraudulent, misleading, deceptive, obscene, indecent, lewd, threatening, offensive, abusive, harassing, degrading, intimidating, libelous, defamatory, inflammatory, or objectionable. (b) Information or content about another person without that person’s consent. (c) Information or content that promotes or advertises a business, event, group, or activity organised through competing social clubs except when permitted by us. (d) Any chain letters, pyramid or Ponzi schemes, investment opportunities, or other unsolicited material, except where expressly permitted by us. (e) Information or content about a business owned by another person which is confidential or contains business secrets. If you breach these Terms, we have the right to remove, review, or modify your user content, unregister your account, and/or terminate your use of our Website’s services and content. If you think anyone is violating any of these Terms, please notify us immediately. We reserve the right to disclose and refer any information that we collect for the purposes of any police investigation or governmental request. We do not promise that the Website will be error-free or uninterrupted. The Website and its content are delivered on an “as-is” and “as-available” basis. We cannot ensure that files you download from the Site will be free of viruses or contamination or destructive features. Receipt of emails, or other Internet based communications such as via Facebook, Instagram or Twitter from us cannot be guaranteed. The delivery of video messages is dependent upon third party providers and therefore outside of our control. Low internet connection speeds and/or older operating systems and/or browsers may result in slower page load times and an inability to view videos on the Website. All purchases and orders are subject to acceptance by us. Acceptance and continued access to our Services, Products and Programs is always subject to payment first being made by you. From time to time, we may sell products or programs on our website. For any products or programs purchased on our site, you must pay for the order in full at the time of ordering by one of the payment methods we provide on the Website. You must be fully entitled to use the payment method or account used for purchases and you must have sufficient funds or credit facilities to cover the purchase. We reserve the right to obtain validation of your payment details before providing you with the Product, Program or Service and carry out security checks from time to time. We require payment by direct debit to our nominated account unless otherwise specified or agreed. From time to time, we may use a payment-processing merchant (such as PayPal, Stripe or Shopify) for purchases and payments, or third-party payment platforms, where you may be directed and reserve the right to change our preferred gateway from time to time. By purchasing any Services or Products or Programs through the Website, you agree to comply with our terms of Purchases and Payment as well as those provided by the payment-processing merchant or those of the payment platform. All transactions are processed in AUD Dollars regardless what currency you select or the Website displays. If we agree to accept credit card payments for the Services, Products or Programs from You, you agree that we will not be held liable for any loss you incur arising from your payment by credit card or use of our payment gateway unless caused by our fraud or the fraud of our employees. Not all Services, Programs or Products will have the same terms of purchase, options for payment or fees. You agree that it will be your responsibility to review the applicable terms and costs for the Services, Products or Programs relevant to you. By purchasing any of the Services, Products or Programs, being a party to a sale, you agree to the cost of sale (Price), as advertised by us at the time of the sale, after which time access will be granted to the Service, Product or Program. Payment terms in respect of Services are strict and you agree to pay for our Services, Products or Programs by the Due Date on the Invoice, unless negotiated prior to the Invoice being sent. You understand that late payments may incur extra charges and a debt collection agent may be engaged (at your cost) should you refuse to pay for Services rendered, regardless of how much of the project has been completed. We reserve the right to change the Price of any Services, Products or Programs from time to time, without notice, however, we may not change the price of an agreed sale. Payments for all goods purchased in Australia, are inclusive of GST. We will issue an invoice authenticating that we have received payment and you have paid for the Service. The receipt of payment that we issue to you will be a Tax Invoice in accordance with applicable legislative requirements relating to GST in Australia. We note that our Services and Products (including, but not limited to, the information services provided through this Website) come with guarantees that cannot be excluded under the Australian Consumer Law. You may be entitled to a replacement (or resupply in the case of Services) or refund for a major failure and for compensation for any other reasonably foreseeable loss or damage. You may also be entitled to have the goods repaired or replaced, or the Services resupplied, if the goods or services fail to be of acceptable quality and the failure does not amount to a major failure. Otherwise, subject to the above consumer legislation, you will not be able to cancel or terminate of the Services, except in accordance with these Terms and refunds are discretionary. In some circumstances, where failures for digital delivery cannot be rectified, refunds may be issued. We do not offer refunds for change of mind. If you voluntarily decide to withdraw from the Services or Programs at any time or for any reason, you will remain fully responsible for the full cost of the Services or Programs. We may terminate a contract or cancel an order if the Service, Product or Program is not available for any reason. We will notify you if this is the case and return any payment that you have made. We will usually refund any money received from you using the same method originally used by you to pay for the Service, Product or Program. You agree that you will not disclose or Confidential Information, ideas, plans, or trade secrets of Andrew Lau and/or its representatives or of other Users of the Website, except when consent is expressly obtained by the appropriate person. (a) Confidential Information shared by Users or any of our representatives belongs solely and exclusively to the person who discloses it. (b) Not to disclose such information to any other person, except in accordance with these Terms. (c) Any material or information provided to you by us remains our confidential and proprietary information and intellectual property. If you violate these confidentiality Terms, we may be entitled to pursue legal proceedings against you to protect the confidentiality of the information and material. You may change your details at any time by advising us in writing via email. All information we receive from our customers, is protected by our secure servers. Our Website’s secure server software encrypts all customer information before it is sent to us. Furthermore, all of the Personal and customer data We collect is secured against unauthorised use or access. Credit card information is not stored by us on our servers. The Services and Website (any Products and Programs as applicable from time to time) are the property of Andrew Lau and its licensors, and are licensed, not sold to you under these Terms. Subject to these Terms, We grant you a limited non-exclusive, non-transferable, non-sub-licensable license to download and install a copy of the Services, Website and/or Products or Programs made available to you solely for your own personal, non-commercial purposes. You agree you may not (i) copy, modify, or create derivative works based on the Services (ii) distribute, transfer, sublicense, lease, lend, or rent the Website, Services, Programs or Products to any third party; (iii) modify, decompile, or disassemble the Website, Services, Programs or Products. By making any User Content available through or in connection with the Website or Services, you grant Us a non-exclusive, perpetual, irrevocable, transferable, non-sub-licensable, worldwide, royalty-free license to use, copy, cache, store, archive, reproduce, record, modify, publicly display, publicly perform, publish, republish promote, exhibit, distribute, transmit, broadcast, synchronise, edit, adapt, sublicense, create derivative works based upon your User Content in connection with operating and providing the Services and the advertising, marketing and promotion thereof. By using our Services and accessing our Website and Content, you further agree to allow us to use, modify, and reproduce your brand and associated images on our website and content for marketing and social media purposes. This Website contains material which is owned by or licensed to us. This material includes, but is not limited to, the design, layout, look, appearance, trademarks and graphics and copyrighted works contained within the Website, Products, Services and Programs. This Agreement does not transfer any Intellectual Property Rights from Andrew Lau to you or any third parties. If you infringe the Intellectual Property Rights of Andrew Lau or any other third party, Andrew Lau has the right to deny access to or terminate your use of the Services, Website, Products or Programs. You acknowledge and agree to respect the Intellectual Property Rights of others, including but not limited to Andrew Lau, Users, licensors, external service providers and third parties, by not using, reproducing or exploiting any Content or User Content that infringes their Intellectual Property Rights recognised throughout the world, whether existing under statute, at Common Law or in equity, now or hereafter in force. You are not permitted to reproduce the documents, information or materials on the website for the purposes of sale or the use by any third party. In particular, you are not permitted to republish, upload, transmit electronically or otherwise or distribute or exploit any of the materials, documents, Content or products that may be available for download from time to time on this Website, except as expressly permitted by these Terms or with the written consent of Andrew Lau or in accordance with the Grant of Licences under these Terms. We expressly reserve all intellectual property rights in respect of all documents, information and materials on our Website and we reserve the right to take action against you if you breach any of these Terms. You may not, except with our express written permission, distribute or commercially exploit the Content nor may you transmit it or store it in any other website or other form of electronic retrieval system. You are granted no right or license with respect to the Andrew Lau trademarks, service marks, graphics, and logos used in connection with the Services, Website, Products or Programs. To the extent that one of my clients has provided a testimonial in relation to my services, it may be displayed or used on this Website as part of my professional portfolio and is always displayed with the consent of that User or client and in accordance with the grant of licences under this Agreement. (g) agree that your consent is a genuine consent under the Copyright Act 1968 (Cth) and has not been induced by duress or any false or misleading statement. This clause (and the clauses regarding Intellectual Property, Dispute Resolution, Governing Jurisdiction and Confidentiality) survive the termination or cancellation of these Terms, and the parties’ rights and obligations under, or arising from the operation of, those clauses will continue to be enforceable by or against each of them notwithstanding such termination or conclusion. Risk is inherent in all forms of business activity and you acknowledge that any decision made by you for your business is made through your own free will, skill, and common sense. Representations of financial data referenced on this Website or on any of our Content, are merely illustrations of other projects we have undertaken or clients that we have worked with. We cannot guarantee that you will receive the same or similar results. Any testimonials found within our Website and/or Content are not to be taken as a guarantee that you will achieve the same or similar results. To the fullest extent permitted by law, We absolutely disclaim all warranties, expressed or implied, including, but not limited to, implied warranties of merchantability and fitness for any particular purpose. We give no warranty that the documents, goods or services will be free of errors, or that defects will be corrected, or that our Website or its server is free of viruses or any other harmful components. It is your sole responsibility and not Our responsibility to bear any costs of servicing, repairs, or correction. The applicable law in your state or territory may not permit these exclusions, particularly the exclusions of some implied warranties. Some of the above may not apply to you but you must ensure you are aware of any risk you may be taking by using this Website or any products or services that may be offered through it. It is your responsibility to do so. CERTAIN LEGISLATION, INCLUDING THE AUSTRALIAN COMPETITION AND CONSUMER ACT 2010 (CTH), MAY LIMIT THE ABILITY TO EXCLUDE LIABILITY OR MAY IMPLY WARRANTIES OR CONDITIONS OR IMPOSE OBLIGATIONS WHICH CANNOT BE EXCLUDED, RESTRICTED OR MODIFIED EXCEPT TO A LIMITED EXTENT. THESE TERMS MUST IN ALL CASES BE READ SUBJECT TO THESE STATUTORY PROVISIONS. You acknowledge and agree that Andrew Lau, and its officers, agents and/or representatives are not responsible for any losses, damages or Claims or Consequential Loss that may arise out of any business or personal decision made by you at any time. Further, it is an essential pre-condition to you using our Website that you agree and accept that we are not legally responsible for any loss or damage or Claim you might suffer related to your use of the Website, whether from errors or from omissions in our documents or information, any goods or services we may offer or from any other use of the website. This includes your use or reliance on any third-party content, links, comments or advertisements. Your use of, or reliance on, any information or materials on this Website is entirely at your own risk, for which we shall not be liable. You agree to accept all risks, foreseeable or non-foreseeable arising from our Website, Services, Content, Programs, Products and any business decision undertaken by you arising from the use of the Website. It shall be your own responsibility to ensure that any products, services or information available through this Website meet your specific, personal or business requirements. To the extent permitted by law, in no event will we (or our employees, agents and/or subcontractors) be liable to you for any Claims or Consequential Loss suffered or incurred by you and arising out of or in connection with your access to or use of the Website, Content, any linked website, your reliance on any information obtained through the Website or your use of any services on the Website, regardless of whether liability is based on any breach of contract, tort (including negligence) or warranty, arises under statute, or any other basis of liability. In any event, the total liability, if any, will be limited to the price paid for the Services, Product or Program (as applicable). You indemnify us from all Claims, loss and damage (including legal fees on a full indemnity basis) incurred or suffered by you or us as a direct or indirect consequence of using or attempting to use our information, Content, Products, Services, Programs, Website or any breach by you or your agents of these Terms. In accordance with clause 14 of these Terms, you acknowledge and agree that We are not responsible for, and expressly disclaim all liability to the fullest extent permitted by law, for damages, Consequential Loss or Claims of any kind arising out of use, reference to, or reliance on any information contained within our Website, or through use of our Products, Programs, Content, Website or Services. In the event of any dispute under these Terms, the parties agree to negotiate in good faith to resolve the dispute. Please notify us of any problems or issues arising out of use of the Website by emailing us at hi@andrewlaucopywriter.com. Any dispute or difference whatsoever arising out of or in connection with these Terms which cannot be resolved by the parties shall be submitted to mediation in accordance with, and subject to, The Institute of Arbitrators and Mediators Australia Mediation and Conciliation Rules. The laws of New South Wales, Australia governs these terms. You agree to submit to the exclusive jurisdiction of the courts of the State of New South Wales, or other such competent courts, to resolve any dispute or claim arising from these Terms. 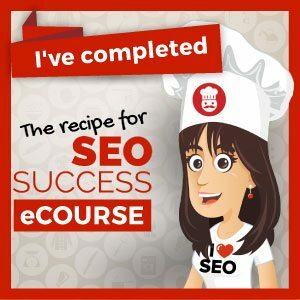 These Terms make up the entire agreement between you, us and https://andrewlaucopywriter.com, and supersede any prior agreement, understanding or arrangement between you, us and https://andrewlaucopywriter.com, whether oral or in writing. Should you have any further questions or should you have any enquiries or feedback please contact us at hi@andrewlaucopywriter.com.